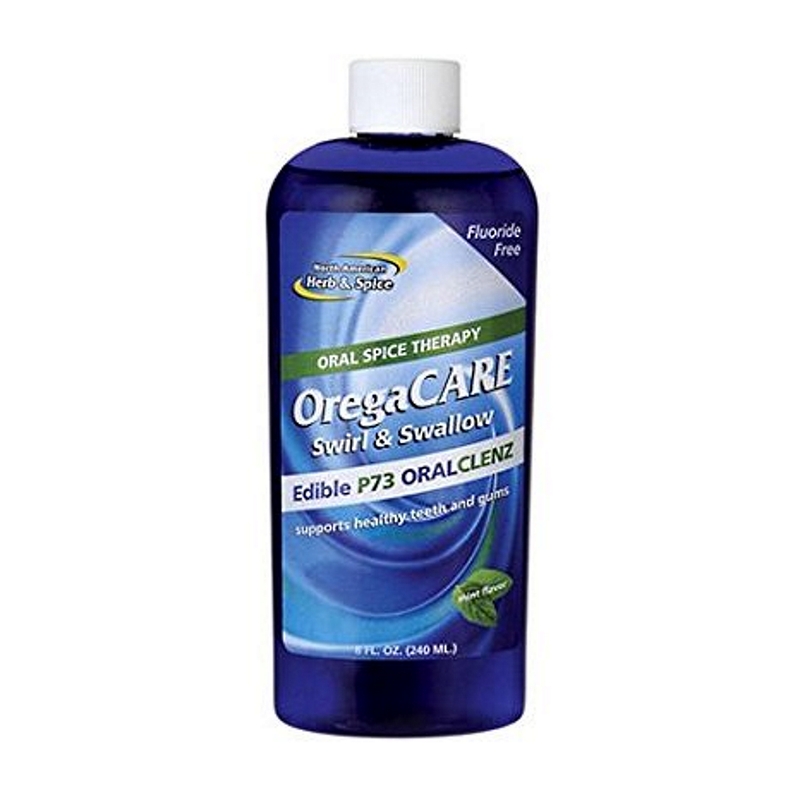 OregaCare Swirl and Swallow is the only edible oral cleanser that provides the power of P73 oregano. Now you can promote the health of teeth and gums without the use of harmful substances like fluoride and other chemicals. Plus, it helps the whole body. As a mouth cleanser and body tonic, it's good for your health and saves you money. OregaCare Swirl and Swallow is one component of a family of products that supports the teeth, gums and breath with oral spice therapy. OregaCare Swirl and Swallow is ideal for use with OregaFresh P73 toothpaste and OregaSmile oral health system.